Fragments of similar flower holders have been discovered at the Yaozhou kiln site near Tongchuan in Shaanxi province; see Songdai Yaozhou yaozhi [Yaozhou kiln sites of the Song dynasty], Beijing, 1998, pl.XXXII, fig.3, and p.140, fig.76: 1-3, and pl.LXXXVIII, fig.5, and p.329, fig.166; 5). The bowl is of deep rounded form, resting on a high flared foot and has an everted slanting rim. A domed openwork support inside is shaped like a small dish, placed upside-down on a raised ridge, its flared rim cut into bracket foliations, its sides and base pierced with circular and gourd-shaped openings. Six bands of clay are attached in an undulating fashion below the rim inside, to create three tubular sockets each. The outside is textured with vertical lines. 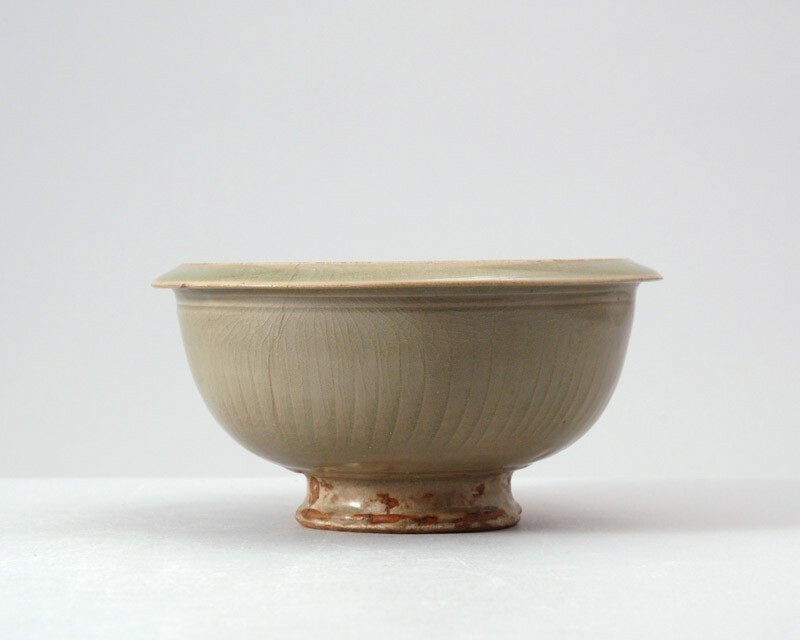 The piece is covered with a thin olive-green glaze, which leaves the footring exposed in the brown biscuit and has partly fired brown, partly degraded to a whitish layer on the base and foot, where it was thinly and unevenly applied.